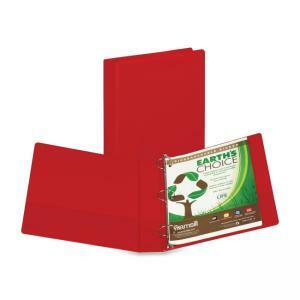 Earths Choice biodegradable binder is made using an all-natural organic additive. The polypropylene cover is formulated to biodegrade in microbial landfills within 5 years instead of the hundreds of years it takes normal plastic. 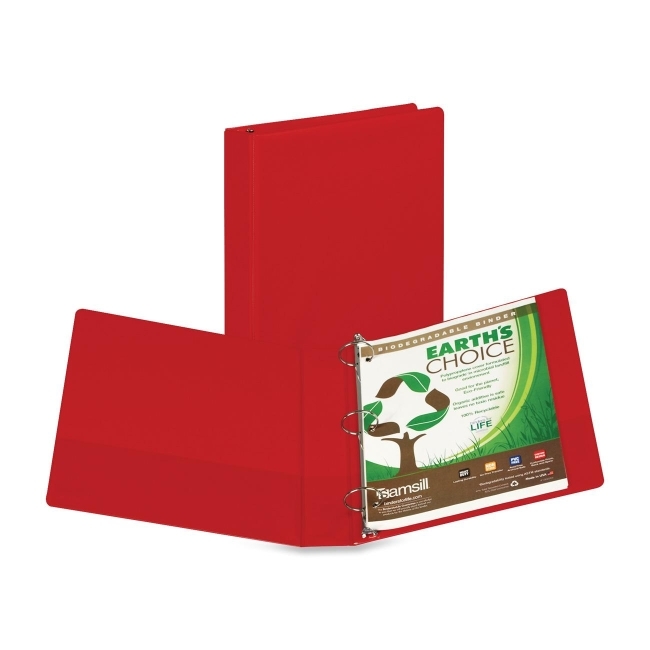 This binder is completely reusable with an unlimited shelf life and will not start to biodegrade until disposed of in a landfill. All contents are 100 percent recyclable with a removable ring. Archival-safe, environmentally safe polypropylene will not lift copy. Binder features two inside pockets and traditional round ring metals mounted to the back so the pages lie flat. Overall binder contains 47 percent post-consumer material.